A mysterious boatman on the Thames, a drowned heir, a dustman and his wife, and a host of other Dickens characters populate this novel of relationships between the classes, money, greed and love. 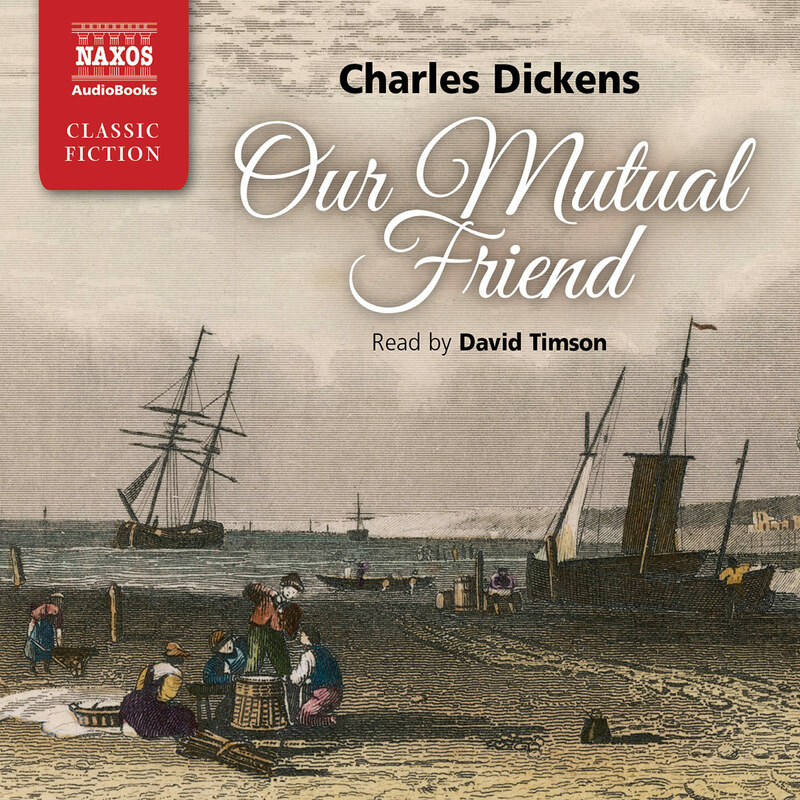 The forty-eight characters are presented with remarkable clarity by David Timson in this unabridged recording of one of Dickens’ finest works. 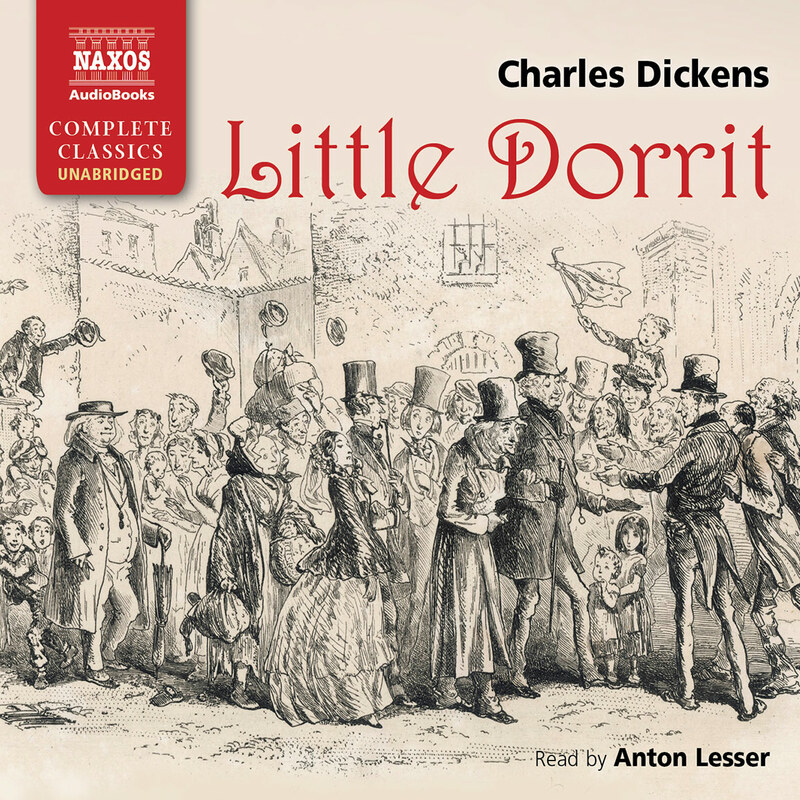 A long holiday journey is perfect for unabridged Dickens. 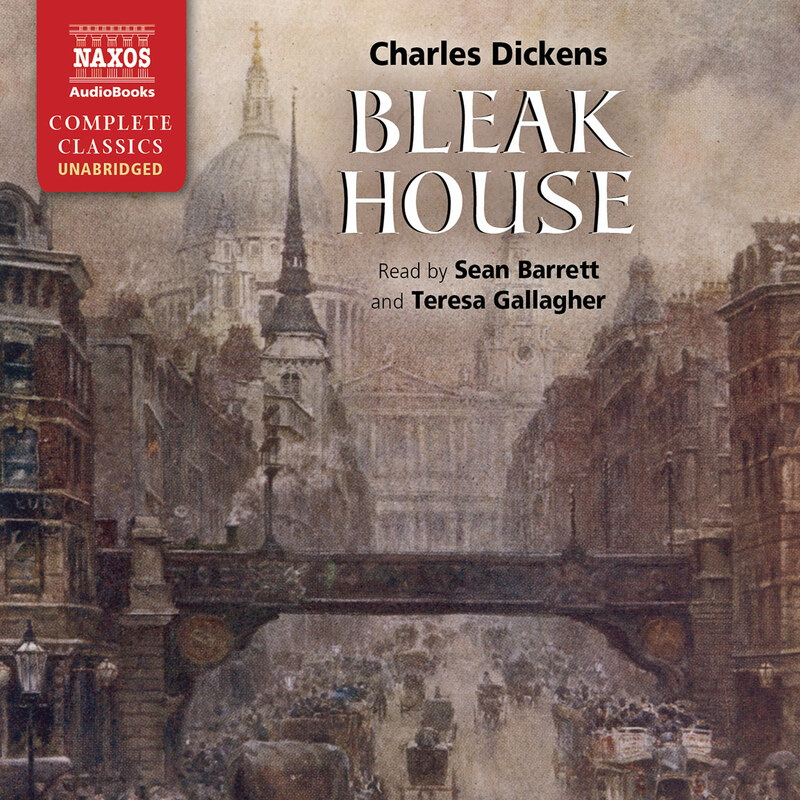 Naxos have followed their excellent Bleak House with Our Mutual Friend, his final finished novel, published in 1865. An almost dead man is fished out of the Thames by a scavenger and his daughter. Who is he, and how did he get there? The answer lies deep in London’s lucratively managed rubbish heaps, and a gothic mystery worthy of Wilkie Collins unrolls. 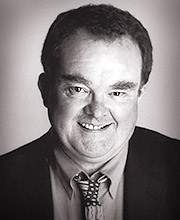 David Timson makes the cavalcade of contemporary types compellingly real – the nouveaux riches Veneerings, the pompous Podsnaps, Boffin the deep and devious king of Dust, the charitable Jew Riah and the touchingly mad Jenny Wren. 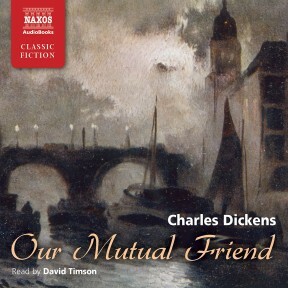 Our Mutual Friend is a rich, dark work, fuelled by Dickens’s disgust with the worship of money he saw in the society around him. 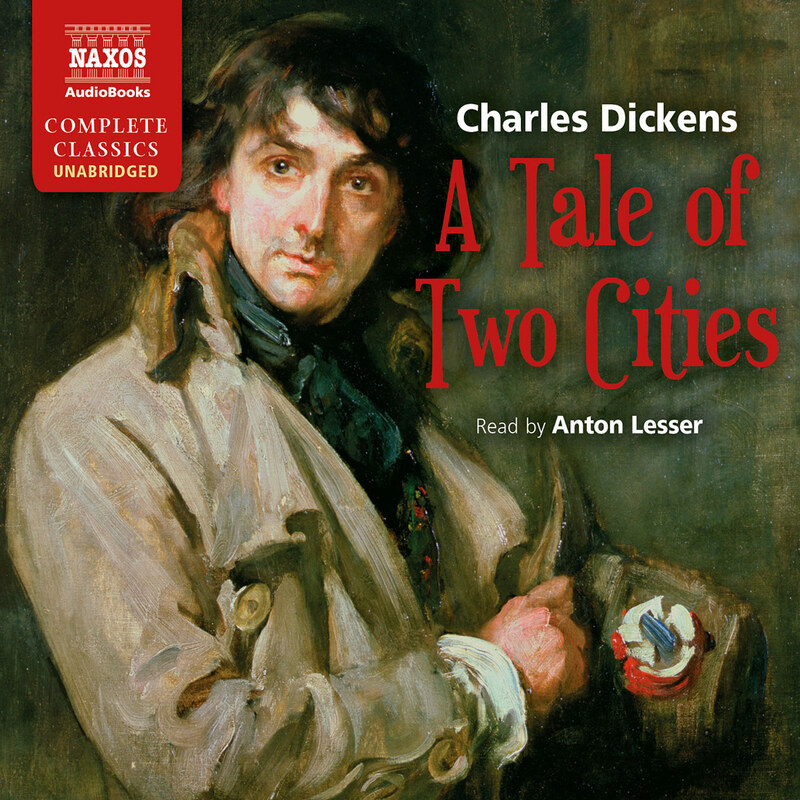 It takes many days to listen to the complete convoluted story, with Timson relishing every shifting mood and all 58 characters, and capturing the sharp edge of Dickens’s satire in set-pieces such as the vulgar dinner parties held by the grotesque Veneerings for their ephemeral ‘best friends’. The whole is packed with powerful scenes, such as where pathos is fired by fury when old Betty is forced to give away the last beloved remnant of her family, her orphaned grandson, in order to avoid the workhouse. 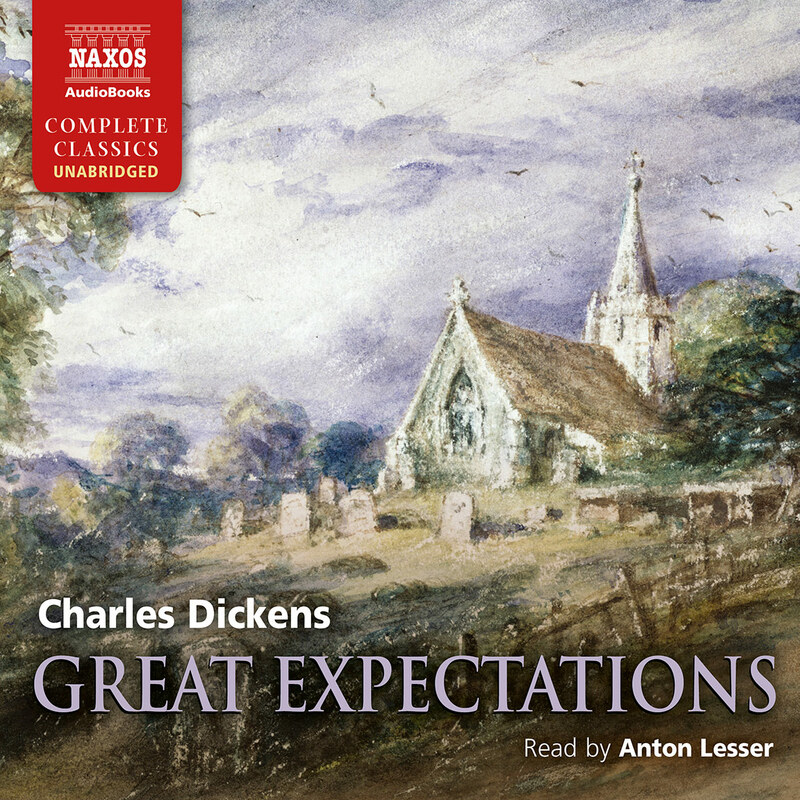 Unabridged Dickens as gloriously presented as this is the creme de la creme of audio listening. kaleidoscope of characters, from the dolls’ dressmaker to the false friends of the moneyed Veneerings, are the best of the best.